Try Provasil for 60 Days With NO RISK! Above all else, we want you to be happy with your purchase. That is exactly why we are offering you our Total Money-Back Guarantee! When you make your Provasil purchase, you can try it out for 60 days RISK FREE. You read that right…60 FULL days! Why do we offer such an amazing guarantee? The answer couldn't be simpler: we have complete confidence you will be 100% satisfied with your Provasil purchase. We don't include sneaky fine print or confusing terms in our guarantee. If you are not completely satisfied with your purchase for any reason at all, all you need to do is get in touch with us within 60 days of placing your order. We will issue you a return authorization number, and we will promptly refund 100% of the purchase price as soon as we receive your bottle of Provasil containing any unused product. We are aware that the effectiveness of our product can vary from user to user, even though we have done extensive scientific research to help us select the best ingredients and develop a formulation that will benefit as many people as possible. We know that results can be different because people are different. We have made it our mission to give our customers natural supplements that meet their health needs and really work. So, you can be certain when you buy Provasil that the results will be everything you expected, or you will be given every bit of your money back, minus shipping. If you decide to order multiple units, please note that additional bottles must be returned unused, unopened, and in a condition suitable for resale for a refund to be issued. 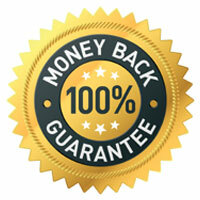 In a nutshell, this is our Unconditional 100% Full-Money-Back Guarantee! We won't mislead you with gimmicks and tricks…You get more than enough time to test the product to see if it is right for you and a true 100% money-back guarantee. Why do we provide such a fantastic guarantee? Because we feel certain you will be totally delighted with your purchase!